Social entrepreneurship is gaining momentum in Norway. Here are some of the cafés, restaurants and hotels more concerned with smart solutions to social issues than profit. Although Norway from a global perspective is a country with a high degree of equality and welfare, there are still challenges related to substance abuse, environmental issues, health and employment inclusion. These issues engage and concern many Norwegians – including those starting their own businesses. And one of the increasingly popular concepts in Norway right now is social entrepreneurship. "Social entrepreneurship is when businesses solve a problem that other public or private institutions haven’t solved. These businesses are being run with as much focus on social effect as on economics." Stranheim points out that even though this is an expanding movement, there is a significant tradition for community spirit in the Norwegian society – what’s new is the name, really. "This is also related to the time we’re living in. We’re safe, content and prosperous here. That makes it even more important to create meaning in our own and other people’s lives. It’s especially apparent among young people starting their own business," he says to Visit Norway. In Oslo, several businesses based on social entrepreneurship have popped up over the last few years, with their doors open to visitors and high quality products and services. 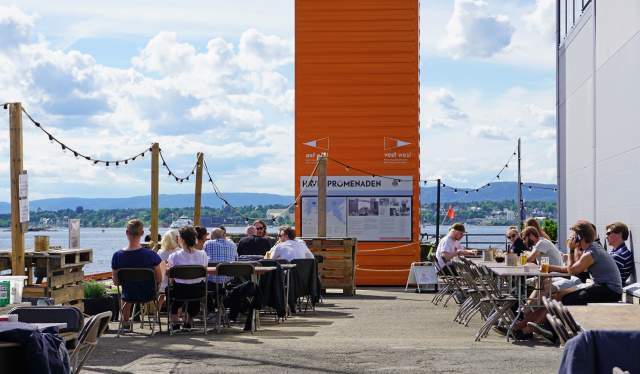 Right by the Oslo fjord you’ll find Vippa Oslo, a popular center for food, culture and education, known for its international variations of street food. Here, youngsters and immigrants get useful working experience and entrepreneurship training. Their food alone is worth the trip. Vippa - street food market. For travellers in search of souvenirs with meaning, the gift shop I Jobb (“employed”), which is operated by The Church City Mission, is recommended. The shop sells glass angels, elaborate postcards and other items produced at a workshop offering work as an alternative to substance abuse, prostitution and criminality. A welcome sight in the city the last two years has been the International Sandwich Brothers, selling the most delicious homemade ice cream from bicycles with coolers. The project is an opportunity for immigrants new to Norway, and the ice cream – hailed as “the best in the country” by the food magazine Aperitif – is also sold at the restaurants Bacchus, Bruket and Handwerk Botaniske. Two other examples of social entrepreneurships in the capital should be mentioned as well. =Kaffe is a coffee shop run by people from the city’s street scene, providing them with barista skills and a steady income. The hotel PS:hotell, located by the food court near Grünerløkka, hires employees who for various reasons have trouble getting work. The movement is gaining momentum outside of Oslo as well. Another city showing the possibilities of social entrepreneurship is Tromsø. Bårstua is located at the fortification Skansen. The café is owned and operated by Fontenehuset, an organization helping people with mental disorders and conditions. The surplus is exclusively spent creating more jobs. 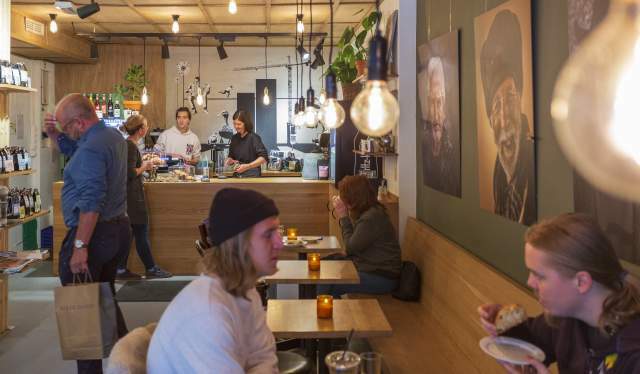 Another café in Tromsø’s city centre is Kafé Globus, which was established with the purpose of giving refugees a positive and meaningful induction into the Norwegian society. Their menu consists of dishes inspired by various global cuisines. Tromsø also has a hotel that stands out for its focus on inclusion and diversity among the employees. The Edge gives everybody a chance to apply for a job, whether their curriculum vitae has gaps in it or not. In Sandefjord, Café Vintage has stood out as an import arena for inclusion and sustainability the last three years. The eatery employs women with a minority background, cooking and serving delicious lunch dishes with an international twist. Also worth mentioning is Coffee Too in Eidsvoll. This café is based on social entrepreneurship, with the entire surplus being spent on making a positive impact in the community – for instance through providing unmotivated students with an alternative to school.